The following are mini-reviews of books I read in 2000. Also see the full index of books I've read. A compilation of The Hitchhiker's Guide to the Galaxy (pub. 1979), The Restaurant at the End of the Universe (pub. 1980), Life, the Universe and Everything (pub. 1982), So Long, and Thanks for All the Fish (pub. 1984), Young Zaphod Plays It Safe (a short story), and Mostly Harmless (pub. 1992). These stories are a must read. The incessant humor is a little wearing at times, but, like any good story, the stories make you look at things a little differently from time to time. A lot of people know the answer, but they get the question wrong—which, in a way, is kind of the point of the stories. The computer, Deep Thought, spends 7½-million years calculating "the answer to the Ultimate Question of Life, the Universe, and Everything." Not the meaning of life or any such thing. The answer, announced "with infinite majesty and calm" by Deep Thought, is, of course, 42. If you look back at what the computer was asked, you realize that an answer was requested and duly supplied, but the "Ultimate Question" itself was not specified. Read the stories and all will be revealed! A long-time Rumpole fan, I figured I would re-read this while trying to decide upon a "deeper" tome to dig into next. The Trials of Rumpole is vintage Rumpole, but darker than Mortimer's other collections: all of Rumpole's cases are lost—in the big scheme of things—even though he actually prevails in The Old Bailey. And, in the final story, Rumpole's family and friends attempt to put him out to pasture ... must we bid him farewell? My first exposure to Updike, this is a collection of short stories, originally published in 1966. While a few of the stories were not too bad, most of them struck me as being little more than an excuse for some artsy writing—and his writing is exquisite. Some story value would not have been amiss. England itself seemed slightly insane to us. The meadows skimming past the windows of the Southampton-London train seemed green deliriously, seemed so obsessively steeped in color that my eyes, still attuned to the exhausted verdure and September rust of American fields, doubted the ability of this landscape to perform useful work. England appeared to exist purely as a context of literature. I had studied this literature for four years, and had been sent here to continue this study. Yet my brain, excited and numbed by travel, could produce only one allusion; "a' babbled of green fields," that inconsequential Shakespearean snippet rendered memorable by a classic typographical emendation, kept running through my mind, "a' babbled, a' babbled," as the dactylic scansion of the train wheels drew us and our six mute, swaying compartment-mates northward into London. The city overwhelmed our expectations. The Kiplingesque grandeur of Waterloo Station, the Eliotic despondency of the brick row in Chelsea where we spent the night in the flat of a vague friend, the Dickensian nightmare of fog and sweating pavement and besmirched cornices that surrounded us when we awoke—all this seemed too authentic to be real, too corroborative of literature to be solid. The taxi we took to Paddington Station had a high roof and an open side, which gave it to our eyes the shocked, cockeyed expression of a character actor in an Agatha Christie melodrama. We wheeled past mansions by Galsworthy and parks by A. A. Milne; we glimpsed a cobbled eighteenth-century alley, complete with hanging tavern boards, where Dr. Johnson might have reeled and gasped the night he laughed so hard—the incident in Boswell so beautifully amplified in the essay by Beerbohm. And underneath all, underneath Heaven knew how many medieval plagues, pageants, and conflagrations, old Londinium itself like a buried Titan lay smoldering in an abyss and tangle of time appalling to eyes accustomed to view the land as a surface innocent of history. We were relieved to board the train and feel it tug us westward. Actuality is a running impoverishment of possibility. One long rant, as the following notes I made show—Wilson seems to be cut from the same cloth as Paul Johnson. 'If Mr Casaubon read German he would save himself a great deal of trouble.' ... Early nineteenth-century England, and especially Oxford, had plenty of Casaubons who either could not or would not read the Germans. Chapter 7 is "George Eliot, The Word, and Lives of Jesus" ... about David Friedrich Strauss' Das Leben Jesu (Life of Jesus) and others' books in a similar vein. Capsule biograpies of George Eliot and George Henry Lewes. ... the one question which Darwinism so dismally refuses to address: namely, how (let alone why!) anything happens to exist at all. It is existence itself which is surely the greatest of all mysteries. How we, with what we call our consciousness, come to be observing existence, our own, and that of all that is, is not a mystery outside the mystery. 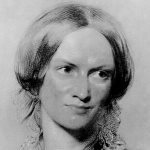 Ever since [G. H. Lewes] and George Eliot moved into The Priory, St John's Wood (November 1863), one feels, ugly female novelists have been setting up house in North London with pushy liberal-minded journalists. Dethroning God, [George Bernard Shaw's] generation found it impossible to leave the sanctuary empty. They put man in His place, which had the paradoxical effect, not of elevating human nature but of demeaning it to depths of cruelty, depravity and stupidity unparalleled in human history. An unrelated, funny anecdote involving A. N. Wilson: "A cussed acrostic", by Stan Carey. To his credit, Wilson had a sense of humor about the joke played on him. A devastating critique of Freud and his followers and of their misdirected, almost malignant attempts at diagnosing and treating shizophrenia, autism, and obsessive-compulsive disorder with psychoanalysis. Unconscionable. Many of the practitioners discussed in the book are now discredited, but their ideas continue to permeate our culture—and the profession, for that matter, judging by the stories you hear of psychiatrists and psychologists who are not familiar with the latest research and perspectives on mental illnesses. What's equally scary is that what Dolnick describes as having happened in the psychoanalytic field—the latching on to a theory, the close-mindedness, and the herd mentality—can and does happen in fields other than the medical and health fields, albeit often with less harmful impact on people. Throughout Madness on the Couch you'll find frequent mention of articles and cover stories on psychoanalytic theories, "research", and "successes" in mainstream publications such as Scientific American (a magazine I considered unimpeachable), Time , etc. Of course, that was all in the past, right? A must-read that is excellent reading too. Somewhat ironically, the authors seem to have been hit over the head by their own Golden Hammer antipattern. Distributed, object-oriented programs (ideally using CORBA) are not the whole of the software universe and, when not suitable for the job at hand, are not a best practice. Functional Decomposition is a bad practice? I understand—or maybe I don't understand—the concern about writing structured code in an object-oriented language, but asking some programmers who haven't even reached first base yet to steal second is, well, asking for trouble. Writing Spaghetti Code is not the exclusive domain of FORTRAN and C and is not the result of insufficient knowledge of object-oriented techniques. (Aside: And a comparable degree of spaghetti code in C++ is an order of magnitude more difficult to figure out.) In the "GOTOs Considered Harmful" controversy three decades ago, Donald Knuth said that good programmers have always written structured programs; the same can surely be said for structured data. All of which, I suppose, leads us into the "programming as art or science" argument ... </SOAPBOX>! December 2016: Back in 1978, I bought a box of assorted ACM journals from one of my Computer Science professors for a nominal price. It included ACM Computing Surveys , Volume 6, Issue 4, December 1974, in which could be found Donald E. Knuth, "Structured Programming with go to Statements" (PDF). Given that I read the AntiPatterns book in 2000, my paragraph above was written about 30 years after I last read Knuth's article. Finding the linked-to PDF online recently, I scanned the lengthy article and couldn't find him saying what I thought he had said. However, there was a close approximation: "Good structure can be expressed in FORTRAN or COBOL, or even in assembly language, although less clearly and with much more trouble." Which basically says the same thing, I think, but I do disagree with the "less clearly" and "much more trouble" clause. I believe a good programmer fluent and practiced in a "non-structured" language (such as those named) will write clear, well-structured programs as if the process is second nature. Also see the dormant AntiPatterns website based on the book. Another classic from Brian Kernighan and an essential read for both experienced and would-be computer programmers. In the field of computing, Kernighan is probably only rivaled by P. J. Plauger (a former co-author) and Donald Knuth in the quality of his writing. The authors use working and non-working examples in C, C++, and Java to emphasize the importance of simplicity, clarity, generality, evolution, interfaces, automation, and notation in designing and implementing good software. The practical guidelines presented and discussed throughout the book are gathered into a concise list in an Appendix. Voices crying out in the wilderness no doubt, but what a breath of fresh air! The first edition of this book was my bible for learning C++: a colleague at work lent it to me because I couldn't afford to buy a full C++ book. I had already read Bertrand Meyer's Object-oriented Software Construction (first edition)—the best introduction to OOP that you'll find—as well as a number of JOOP and C++ Report articles on C++, so Meyers's book was sufficient at the time. Also see the author's blog, The View from Aristeia. Very dry reading! I only made my way partially through the book. The most interesting chapters were those by the editor himself, Martin Bishop. I originally read this in 1991 and again, now, nearly 10 years later. A collection of short stories by famous authors. A. S. Byatt's preface was excellent and very much worth reading, but what followed was nothing to write home about! A good mystery story I've read and re-read many times. The AEREON 26 was an experimental aircraft developed to investigate lifting body design with a view to using its shape to create hybrid designs, part airship, part conventional aircraft ... This aircraft has a special place in UFO and conspiracy lore, since enthusiasts have drawn parallels between the shape of this aircraft and some reported UFOs from around the same era. Also see the author's blog, Mind Matters.